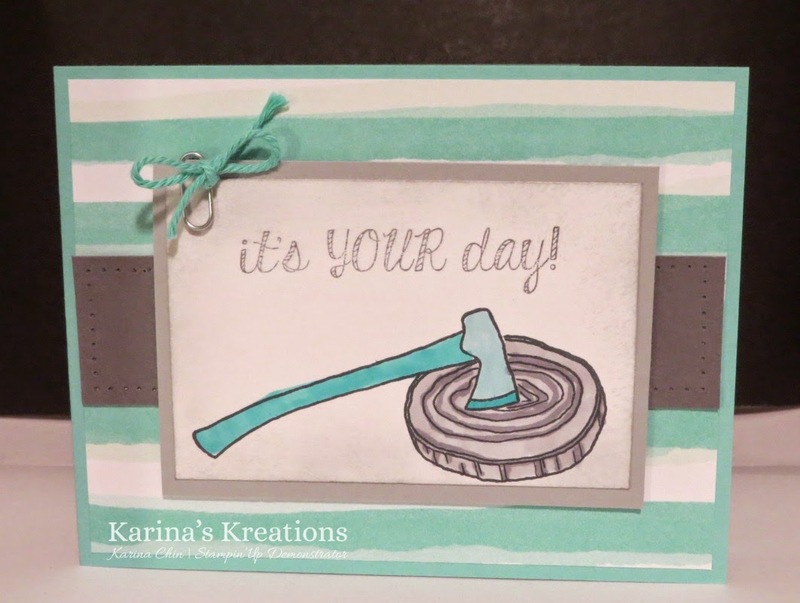 Karina's Kreations: New Occasions Catty Wood You Be Mine Sneak Peak! New Occasions Catty Wood You Be Mine Sneak Peak! I have another new occasions catty sneak peak to share with you today. This card uses the Wood you Be Mine stamp set and the Best Year Ever Sale-a-bration Designer Series Paper. The paper can be earned for Free with a $60.00 order starting Jan 6th! I used Costal Cabana and Smoky Slate Blendabilites makers on this card. You can buy these markers or get them for Free with a $60.00 order.